Amidst the gloomy color of fall/winter window display, L'Occitange has the brightest and summery appearance with a giant bright-yellow-light-and-dark-blur colored poster of its new Immortelle Precious Serum product. 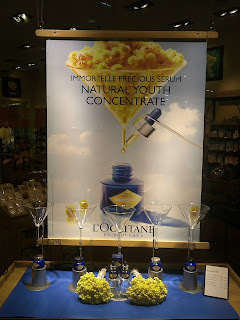 Below the poster, there are five laboratory cup or glasses that are used to make and gather the concentrate of immortelle flowers into the serum bottles. 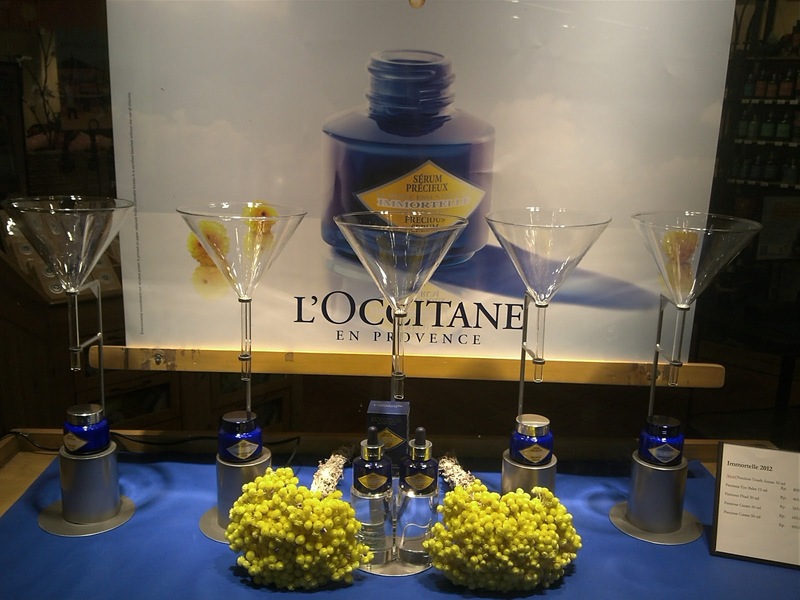 There are also two bundles of the bright yellow flowers in front of them that make the window looks so beautiful.